Nita Little - US A pioneering choreographer, performer, and theorist in the field of improvisational dance and Contact Improvisation, Nita is invited to work with dancers on five continents. Nita participated in the emergence and development of Contact Improvisation in 1972 with Steve Paxton and Nancy Stark Smith. She has been exploring the embodied mind in the physics of motion, relational and creative action, and the performance of presence ever since. 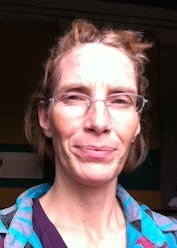 As a dance researcher, Nita maintains a San Francisco based company: Nita Little Dance Research. Nita works with dancers and performers in numerous mediums and modalities - currently she is making her second dance film. She tours on a regular basis making work, performing, and teaching technical and creative skills for companies, festivals and schools worldwide. A physical philosopher, Nita is developing a movement pedagogy oriented around creative actions of the embodied mind in dance, the bases of her dissertation. In 2014 you will find her choreographing and teaching in NYC, Europe, and South America. She is currently completing her PhD in Performance Studies at the University of California, Davis. Intermediate/Advanced. Being "in touch" is a state of mind and a state of body. A synonym for being grounded, aware, connected, and awake, "in touch" is both the core and the ideal of this work. Paradoxically, it is a process of letting go and of arriving at the same time. Both an internal and an external practice, being “in touch” calls forth the fundamentals of physical grace and a willingness to change and be changed. Our goal is to be so exquisitely tuned in that we can fully fly, both physically and creatively. Our practice will take us from a grounded flow to and through aerial soaring. We will look into our physical communication in each emerging moment and find the resources for dances that reach deep into our sense of play. Charlotte Zerbey - US/IT dancer, choreographer, vocalist and educator, co-founded Company Blu with Alessandro Certini in residence at Studio Blu and Teatro della Limonaia outside Florence, Italy since1989. Through Company Blu she has brought together dancers, musicians, performers and visual artists interested in the act of performing in the precarious vitality of the present moment. 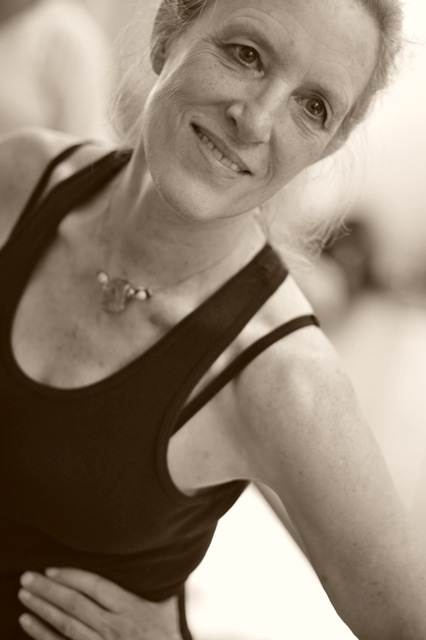 Charlotte trained in modern dance at the University of Utah in 1980and moved to Europe in 1983 where her performance language has been influenced by an interest in the emancipation of the body through studies in vocal work, Contact Improvisation, Authentic Movement, Alexander technique and Traditional Chinese Massage. Charlotte often works in concert with musicians and originally composed scores and plays with physicality and meaning in gesture or voice. Her teaching includes touch and relationship as a principle tools and helps students to find their own voice bringing them easily towards performance and composition. Important collaborations include: A. Certini, K. Duck, V. Sieni, S. Waltz, S. Paxton, P. DeGroot, J. Hamilton, G. Agus, K. Simson, N. S. Smith, A. Alessi, L. Nelson. Open to all who would like to enrich their movement and vocal sensibilities. This practice will focus on vocal emission and breath in movement. We will explore the converging resources of voice and gesture in relation to a concrete perception of our surrounding environment and immediate connection in space and with others. This facilitates availability and sensitivity in both sound and movement, which resonate through our bodies and beyond. It’s through this relationship, of physical contact and of the emptiness interposed between things that will bring expression of our movement and our voice to life in the present moment. One of the elements that always fascinates me in this form of modern dance is the ability to "share" the dance with your partner. In this festival we will explore the strategies that will help us to connect with our partner’s body and movement seeking the dance that is created through contact. Through the exercises as well as the dance, we will experience the fundamental principles of dynamic support that is created when we share our weight with the other body or bodies in space and time. Tal Shibi - IL, is a Jerusalem native visual artist and stage/street performer, student and teacher of movement art and therapy. 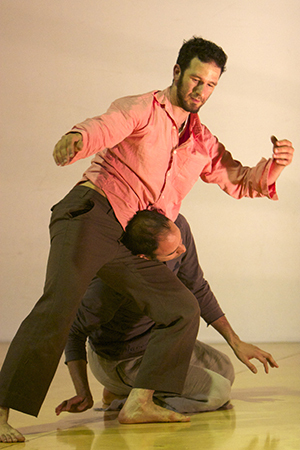 He studied Contact Improvisation with the Danya Elraz Contatct Improvisation yearly program in Israel (2007) and with Nancy Stark Smith while living at the workshop Center EarthDance in Massachusetts (2008). 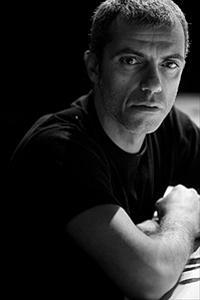 During the year 2009 he studied dance and movement with the Adama School run by Liat Dror and Nir Ben Gal dance company. 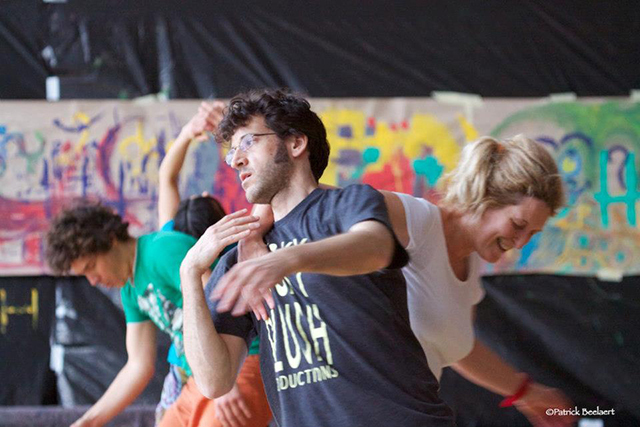 He is a graduate of the movement department with an emphasis on choreography/(B.dance) of the Academy of Music and Dance in Jerusalem and teaches a weekly CI class in Jerusalem. 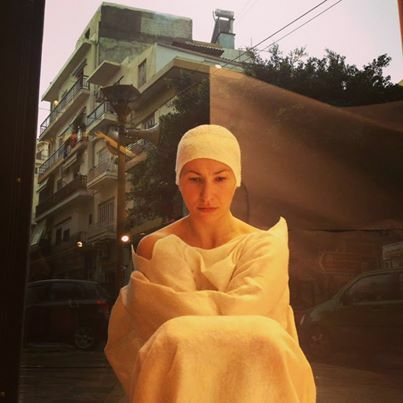 Tal is also a shiatsu and watsu therapist, curious about the exploration of the healing arts through movement and touch, enjoys collaboration between different art forms, draws inspiration from Authentic Movement, Invisible Theater, Playback, Contact, music and dance. 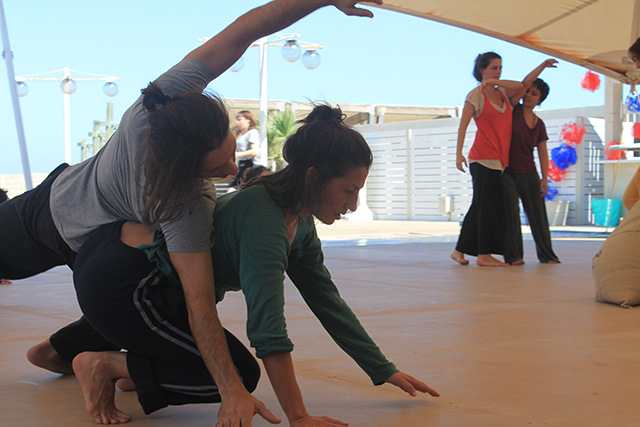 He is a member of the Israeli Contact Improvisation Leaders, Non Profit Organization, organizing Contact events, and the Israeli Contact Improvisation festival. If sharing the dance is a mirror for everyday life, how do we create a dance that has the right balance between drama and meditation? We will find out a little bit more of who we are by defining these qualities inside the ongoing contact dance. A practice exploring the merging of emotion, technique and imagination with an emphasis on finding the clarity of our own dance, and anchoring the dance in its physical roots. We will also work part of the time in an outside environment feeling the "natural world" as our studio and finding new invitations to move in surprising surroundings. Daniel Bear Davis - US has a creative practice driven by an awe and wonder for humanity and an equally poignant curiosity and respect for the more-than-human world. 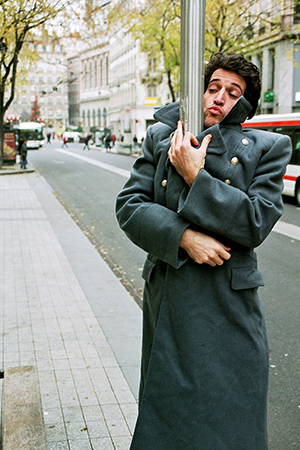 As a performance maker his work ranges from acrobatic stilts, clowning and site-specific performance on various odd structures and environments to crafting community-based performance work with isolated and oppressed populations. He is currently working with veterans and non-veterans in collaboration to create original interactive performances based on our stories. His teaching is influenced by his study of Somatic Experiencing®, an embodied approach to addressing trauma. He is also a certified teacher of Axis Syllabus: Universal Motor Principles, which provides the core of his understanding of resilience. Resilient: 1. Springing back; rebounding. 2. Returning to the original form or position after being bent, compressed, or stretched. 3. Recovering readily from adversity; buoyant. We are made of resilient tissues and structures. This resilience arises when a healthy network of relations is cultivated between our various parts through listening, collaboration, care and play. The same is true in our bodies and our communities. The design of these bodies grows out of millions of years of moving interaction with the environment. By looking to this design, we can gain clues for getting the most dynamic possibility while reducing our risk of injury. In this practice we will learn to create structures for partnering that are strong yet responsive, fluid yet supportive, stable and still mobile. Our intention is adaptability and agency as a means to connection. David Lakein - US/DE Αn interdisciplinary artist, organizer-facilitator and writer, David is a well-respected teacher known for his experimental methods and dedicated to a rigorous (un)learning process. 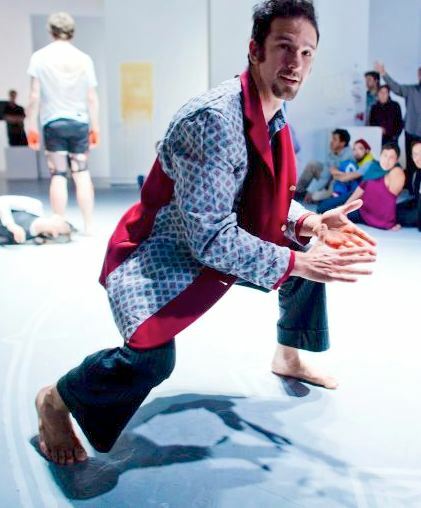 Central to how he conveys the joys and possibilities of the contact dance form are his multi-layered and genre-crossing approaches incorporating improvisational, somatic movement, martial arts and meditation practices. Whether facilitating students in workshops and performance projects or bringing artists together in laboratories or festivals, David is committed to research as a creative act and dialogue as a transformational encounter. He performs-researches-teaches in diverse venues, festivals and schools across the globe, and his performance work swirls around the borders between dance, theater, cabaret, installation and performance art and involves extensive collaborations with other artists. 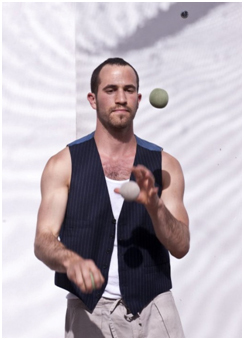 David studied philosophy & literature, and acting & directing in college in Connecticut, trained in dance, performance and somatic movement arts in San Francisco, Berlin and Amsterdam (SNDO) and studied visual arts in Chicago (SAIC). This practice outing invites a thorough technical exploration of weight sharing and weight exchange, including fine-tuning our sensation of the body's main weight centers (pelvis, torso, limbs, head). Through a series of exercises we discover how pouring the physical weight into-out of-along the floor, the air and our partner(s) relies as much on shifting our energy as it does on moving our mass. Central to this investigation is how we can experience "giving and receiving" more as a broad multi-directional continuum rather than a narrow linear spectrum. All of which provides new insights into how standing is both the foundation as well as the preparation for undemanding jumping/falling and lifting/catching. Georgia Petrali - GR was born in the island of Crete, Greece. She is a dancer, performer, choreographer, director, teacher of movement and dance, the founder of Fysalida Dance (www.fysalidance.com) and the Contact Improvisation Crete (www.contactimprocrete.com). She studied dance in England and Holland, has collaborated with several dance companies in Greece and abroad, and has also been teaching around the world since 1997. 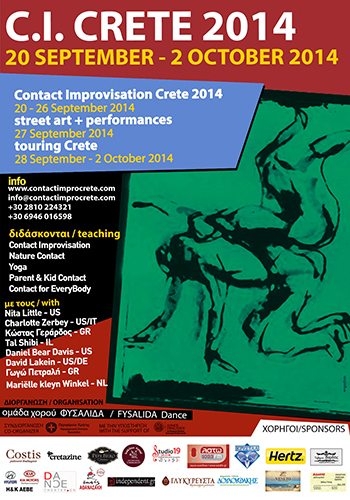 In 2007 Georgia moved back to Crete in order to stir an awareness of dance as an art form. 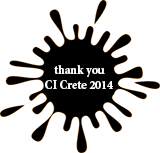 Ever since, she has being creating and presenting art in several places in Crete, Greece and abroad as well as fulfilling artistic activist actions through movement and dance in theatres, art venues and public spaces by using the 'active-thinking' body in order to touch upon social issues relating to man, nature and the planet. Through the practice and ideology Georgia teaches and shares with students and associates she has begun offering 'free stretching' in streets and squares, organising events to collect food and clothes for the community, sharing 'social-discussions' in public spaces, creating small-modern 'agoras' by expressing concerns and ideas, wishes and struggles, dreams and realities of modern society's everyday matters. Taking an architectural look at the various places where an artwork is presented, improvising and using elements of contact improvisation, community dance and dance-theatre, researching and collaborating with professional and amateur artists as well as every day people are characteristic technical features and well-trodden ‘emotional paths’ in the artistic activities and productions prepared by Georgia. The human body is a 'living building' that is in direct contact with its natural environment, both internally and externally. The 'active' human being's relationship with the city and society that one lives and works in can become a source of inspiration, reference and research, an emotional and socio-political statement and soul-searching talk of body and mind. Movement expression, improvisation and contact with ‘gaia’ (terra, earth, γη in modern Greek); are basic principles of exploration, bringing our body to the necessary state of awareness in order to move with clarity, flux and sensation. The circular, incessant routes will motivate our internal pulses and the exploration of our 'personal movement' through our senses and sensibilities will lead us to an internal-external energetic turbine. The moods created through our kinetic travels and the relations evolving as the bodies move and co-exist around us, are the main elements and stimulus for self-observation of our psychological state. 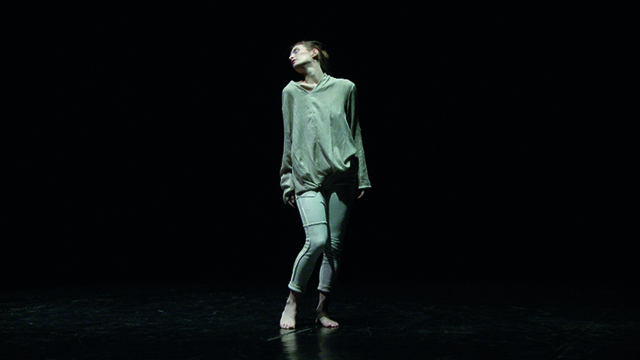 Mariëlle kleyn Winkel - NL was since an early age interested in movement and performance and studied physical theatre and contemporary dance at the University for the Arts (HKU) in Utrecht and Berlin. She got fascinated by the idea that awareness is something you could train. Being 17 and doing for the first time yoga she felt the healing effect on the body. It was years later that she discovered the depth of the practice. After 10 years studying Astanga Vinyasa, Vinyasa Flow and Yin Yoga, she feels gratefully for this ongoing learning possibility within the practice. She endeepen her study at the University for Yoga , Vivekananda Yoga Anusandhana Samsthana in Bengaluru. She aims that everybody on a daily basis would practise Yoga. Experience union within the community. At this moment she is a member of Thai Hand team in Amsterdam. 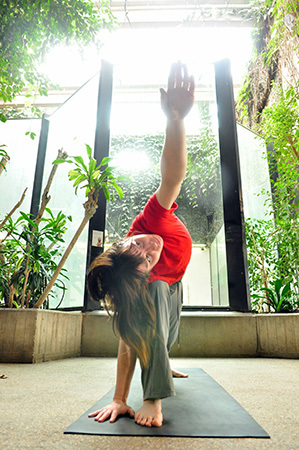 She gives Thai Yoga Massage in order to keep others healthy. Besides teaching yoga in Amsterdam, she works in the field of contemporary dance and theatre in Germany, US, France and the Netherlands. She is a (co-founding) member and performer at performance collective '77 Stolen Fish' in Berlin and 'Breek' in Amsterdam. Community based projects are part of her work too. As a choreographer she worked for the Community Art Company 'STUT' and for 'het Koorenhuis'. 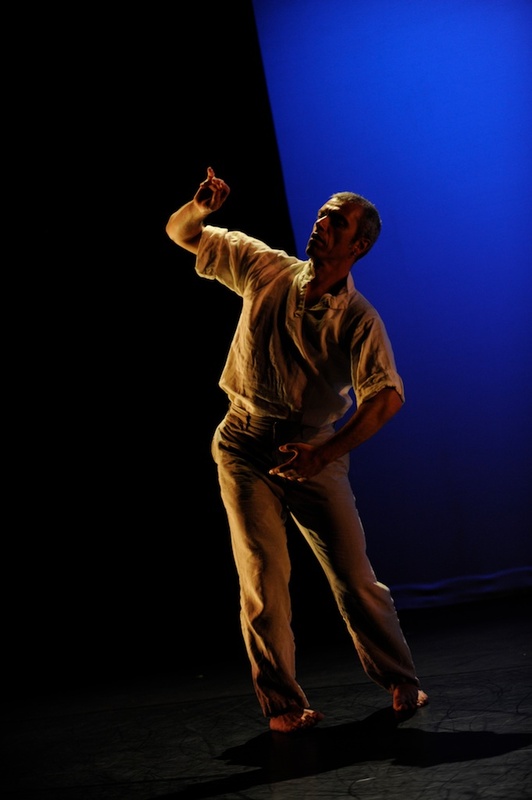 The production 'Als de dood voor de nachten' toured around the Netherlands. During this period she researched the question 'How to enlarge the awareness of the space with beginning performers'. This resulted in a handbook with usefully tools for directors, choreographers and makers. She continues to perform, create, teach and explore together with professional and non/professional movers. In Vinyasa Flow we can build awareness, depth and meditative flow. Learning to be connected to the circular nature of things. While stretching the body, you 'll stretch your borders and learn your limits for that moment. We use the body for inner exploration, aiming to purify the body and therefore the mind. 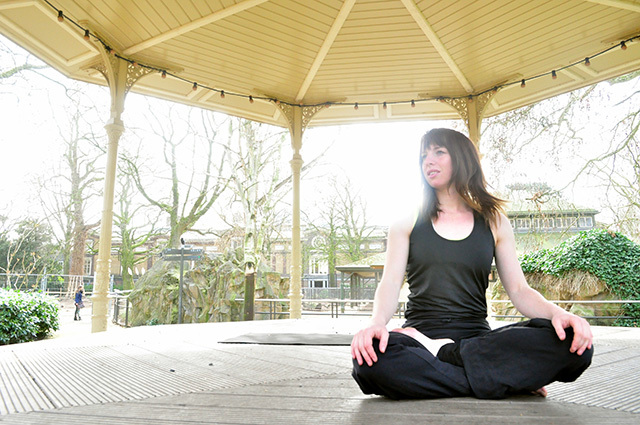 Vinyasa Flow is a multi layered system that combines breath work, muscle activation and rhythmic movement. The repetitive nature of Vinyasa takes the joints through an increasingly greater range of motion, improving the circulation of synovial fluid and bringing nutrients to the articular cartilage. It massages the abdominal organs and improves their function. The series of poses that will move you through the power of inhaling and exhaling. Vinyasa movements are smoothly flowing and almost dance-like. Within the practice you learn to listen to your limits while stretching your borders and finding new perspectives. Sometimes it can be demanding with a stronger pace but also fun and very creative. Vinyasa Flow will energize the body and relax the mind.